Last summer I spent 2 days working on a 3-mile stretch on the Cumbres Pass in Southern Colorado. A crew of about 50 people showed up to work this trail of the Continental Divide that was overgrown with foliage. I met some of the most hardworking people. Young and old. Nobody was a slouch and everyone carried their own weight. 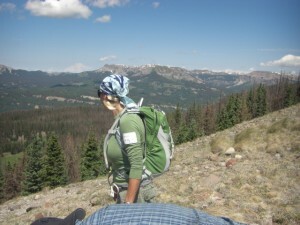 If you want a good physical workout, let me tell you, sweating and toiling on a mountain trail is definitely a workout! At the end of the day you will be tired, but the rewards far exceed any aches or pains. Therefore, if you are a Biophila (someone who loves the outdoors), here is great opportunity to give back to our gorgeous state of Colorado. VOC (Volunteers for Outdoor Colorado) offers over 40 exciting volunteer opportunities to work on maintaining and constructing popular trails as well as helping preserve historically significant structures hidden in beautiful natural places. 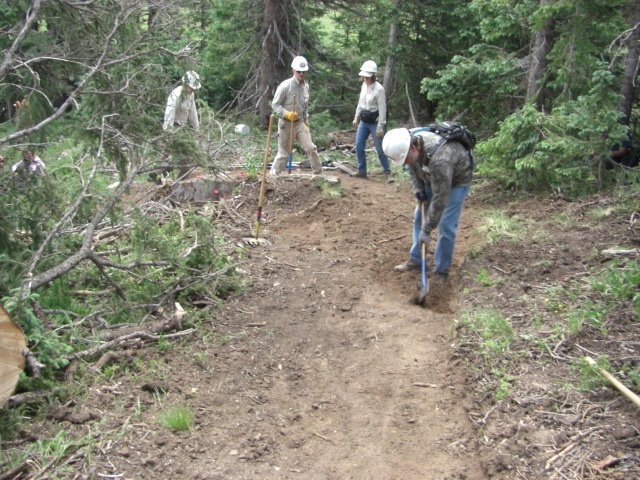 During the summer months, the Forest Service in cooperation with VOC offers week long expeditions and one or two day trips for volunteers to work on keeping our hiking trails in good condition. The Forest Service provides transportation to the trail head and tools, such as pulaskis, McClouds, shovels, saws and hammers. The VOC provides food and other goodies and volunteers provide the muscle power and a good attitude. A typical day starts with everyone carpooling to the trailhead and then walking into an area that needs work. Sometimes, the area to be worked on is a short hike, sometimes not. 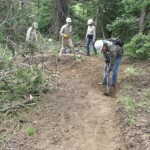 Erosion control maintenance is the goal on the more popular trails. Some of the work is simple weeding. Other times twelve to fifteen foot pieces of wood needs to be buried across trails at different locations to control the erosion. Sometimes, large boulders or small rocks are pulled and tugged at till the earth lets go. This is where real muscle power is required. Many times it takes more than one person to dislodge a single large rock. Tree limbs and sometimes whole small trees are dug up and moved elsewhere, if they are on the designated path. However, large trees are never cut down or large stubborn rocks moved, the trail is just built around them. 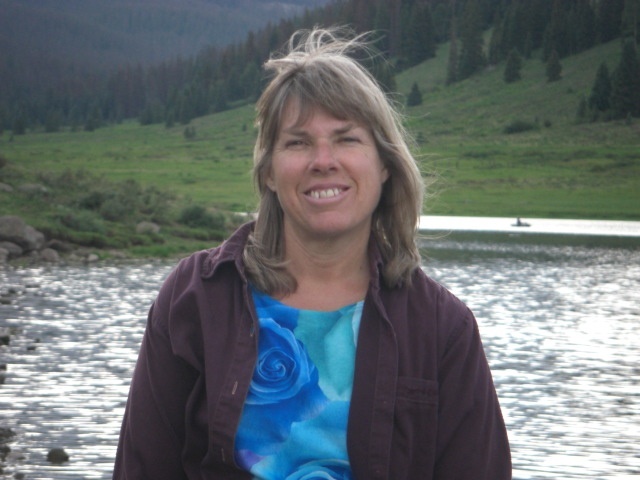 Kay Alderton, veteran hiker and nature lover said, “Working on trails feel like I’m building a stairway to paradise.” And in the higher elevations, 9,000 feet and up, it very well may feel like paradise. Views are usually awesome at this elevation and these higher trails are usually lined with rocks from the surrounding area. Another type of trail work consists of building bridges over a creek. The Forest Service brings in already cut and prepared logs. A hardy crew lays the logs down one by one usually across cold, rushing rivers. The VOC provides all meals, sometimes there is even entertainment such as a band for Saturday night and refreshing beer! A well deserved bit of indulgence after a hard days work. It always feels good to be able to experience the Rocky Mountains by giving back, in taking care of Mother Earth. Plus working in clean mountain air always makes one feel better and it is so satisfying when you look down a trail you have worked on, knowing that you played a part in erosion control and keeping hikers and bikers safe. Been working on any trails in the four corners area that turned out to be a special place for you? 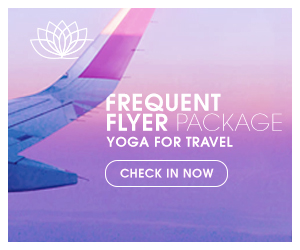 Would love to hear from you. Thanks for dropping by. I have lots of tales to share about these four states. It is in point of fact a nice and helpful piece of info. I am satisfied that you just shared this useful information with us. Please stay us informed like this. Thanks for sharing. Leave a Reply to Goji Berry Diet Click here to cancel reply. © 2019 Four Cornering. All Rights Reserved.